If you’re looking for an alternative for both WWE and TNA, you might want to take a look at the American indy scene. As well as Ring of Honor, there are some pretty strong groups doing business out there at the moment. One of those groups is Sheldon Goldberg’s New England Championship Wrestling, and what sets them apart from their contemporaries is that they’re one of the few wrestling promotions in the world who have their own online television show - and I’m not talking about a ten minute slot on Youtube here. 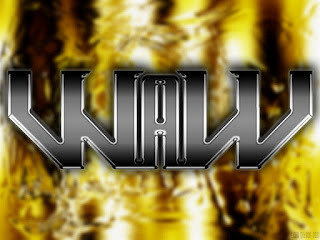 Best of NECW TV 2007 brings together the five best matches from the online show from that particular year. Beginning with “The Talent” T.J. Richter against “The Hawaiian Warrior” Makua, the matches are short, television-style matches, averaging ten minutes in length, that are full of top notch action. There’s some really impressive performances here, especially in the last match, which pits “Die Hard” Eddie Edwards against Jason Blade. However, while the matches are very good, the shortness of the matches means that this DVD doesn’t actually last that long. If it wasn’t for the Edwards/Blade match reaching the twenty minute time limit this would have lasted well under an hour, so perhaps things would have been better if more matches or even a second disc were added to the collection. The production values are some of the best I’ve seen from an American indy promotion. Sheldon Goldberg’s commentary is among the best I’ve heard in quite a while. He’s able to help the wrestlers tell their story without getting over-excited. This is a good example of the NECW brand of wrestling, and if you haven’t seen any of their shows before, this would be a good place to start. Rating: 3 and half stars.